A new study suggests that a month off alcohol could help you prevent serious diseases in later life. According to the study, abstention from alcohol for a month is beneficial for liver, blood pressure, cholesterol levels and diabetes. People who took a month off alcohol also reported weight loss and improvement in concentration and sleep. The co-author of the study, Professor Kevin Moore said, if you took a drug that helped you reduce blood pressure and improved cholesterol and insulin resistance, the drug would be worth billions. Researchers monitored 102 relatively healthy men and women in their 40s who took part in a “dry January’’ campaign. 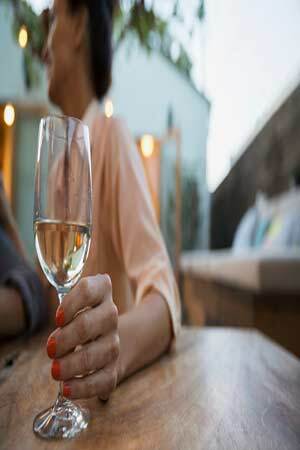 The women had been drinking an average of 29 units of alcohol every week while men drank 31 units, which is above government guidelines levels. After month off alcohol, the damage caused to liver due to heavy drinking for years, started to repair itself. Also, the liver stiffness which is a sign of damage and scarring got reduced by 12.5 percent and diabetes risk had come down by 28 percent. A substantial improvement was reported in various parameters of the liver, blood pressure and cholesterol levels. However, the researchers believe more work is needed to be done in order to establish the lasting effects of abstinence. Experts seem excited about the findings of the study and suggest that by making a simple behavioural change you can improve the health of your liver.